Two years ago, we started Front with the goal of fixing the problems created by shared email addresses. While Gmail and the likes make it possible to manage emails as an individual, things get extremely difficult when teams have to share an inbox: the process of figuring out who is responding to what and when is both time-intensive and messy. It slows down communication, and emails often fall through the cracks. Our aim was to create a vastly improved email client to eliminate this confusion. And the first version of Front delivered on this promise. Several users could manage one inbox, like support@frontapp.com, without stepping on each other’s toes and while still having personalized conversations. With the ability to assign messages to subject-matter experts, gain visibility into teammates’ inboxes, and set rules to automate workflows, teams became both faster and better informed. We then applied the same principles to the increasing number of channels that businesses use to communicate with their customers. Like email, these channels were created for individuals, not teams. To fix this problem, we brought text messages, tweets, Facebook messages, and in-app chat to Front and gave each channel its own inbox. We applied the same tools we used to make shared inboxes better. And it worked. Teams were able to use Front to manage all of their external communications, and as a result became more efficient and transparent. 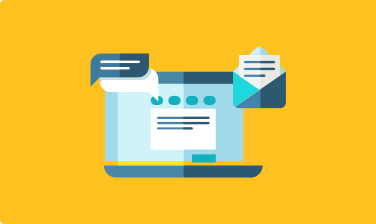 While our customers loved having access to all of their communication channels in the same place, we realized that we had inadvertently inherited some of the inefficiencies of email. Front was created like an email client, and therefore people used it like an email client. While we tried to eliminate the use of Forwards, Reply-Alls, CCs and BCCs, many of our customers kept forwarding messages internally and sending messages from their shared inboxes to their individuals addresses. We hadn’t gotten away from the clunkiness and slowness of email, which makes communication feel slow and cumbersome – or more specifically, like the opposite of a natural conversation. This is what inspired today’s redesign. Our goal is to make managing your external communications in Front as natural as having a conversation. To achieve this, we have taken the best elements of every communication channel and combined them into one unified app. The first major change is that comments are no longer tied to a specific message. They are now synchronous and appear in the order that they are received. This makes collaborating with your team on Front more intuitive. You’ll also notice that the order of messages is reversed. Messages are now displayed in chronological order – like most messaging tools. This makes your email conversations feel more, well… conversational. Check out Front today, and send your thoughts to team@frontapp.com!